Bohol has some of the best beaches in the Philippines. 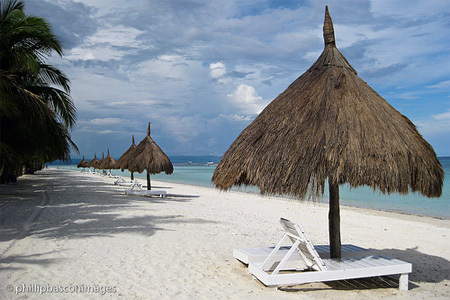 Panglao Island Beaches are now the favorite destination of tourists, local and foreign alike. Many are lured to the island because of the white sand, the cool crystal blue waters, and the world-famous surrounding dive sites. The visitors stay, and some even for good, just for the tranquil ambiance of the place. 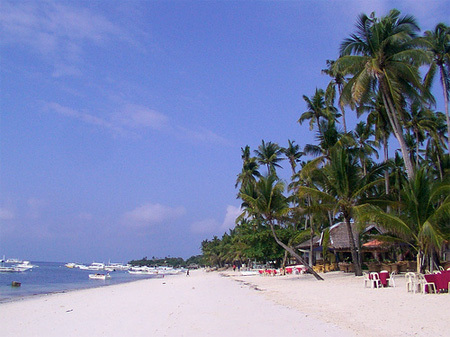 Panglao Island is divided into two municipalities: Panglao and Dauis. 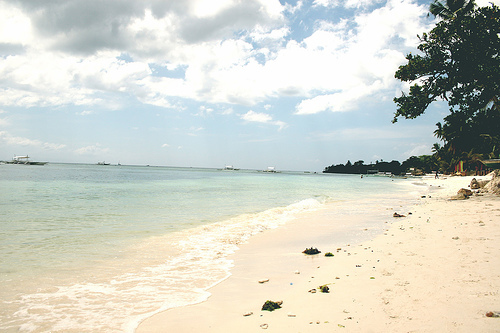 There are beaches in Dauis as well as in Panglao town. 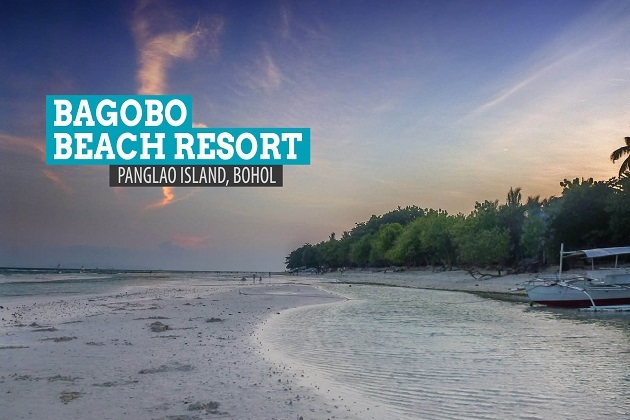 Beaches of Panglao town are: Alona Beach, Doljo Beach, Momo Beach, Bolod Beach, Bagobo Beach and Danao Beach in the barangays of Tawala, Doljo, Tangnan, Bolod, Libaong and Danao respectively. 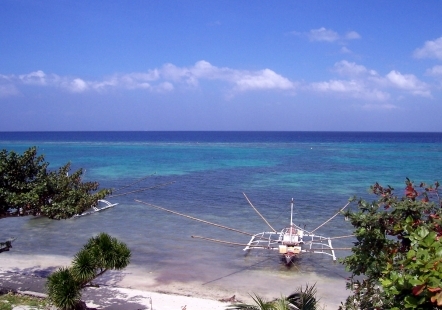 Beaches of Dauis are in barangays Bingag, Dao, and Biking. 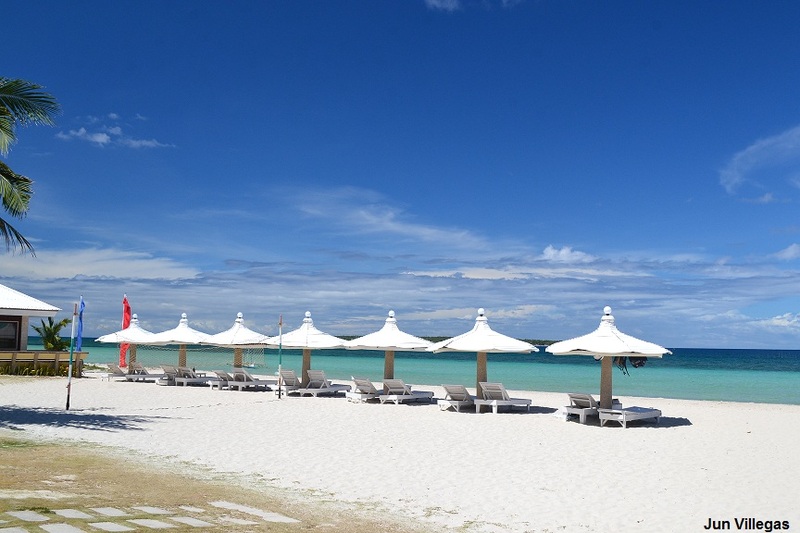 Alona Beach, an 800 meter stretch of white powdery sand, in the south of Panglao Island, is south west of Bohol and only 18 kilometers or 30 minutes away from Tagbilaran City, the one and only city of the province. 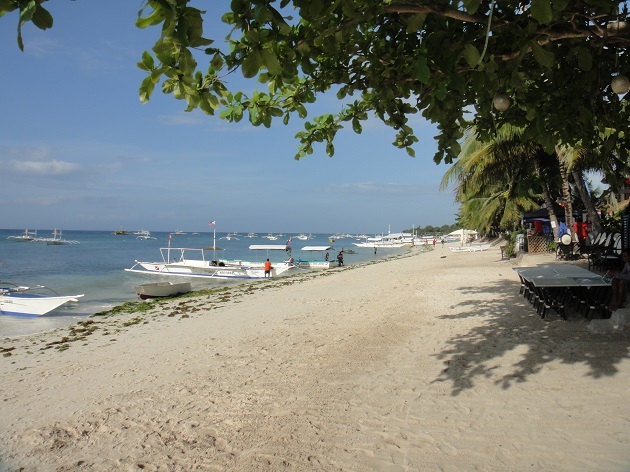 There are many full-service beach and dive resorts reside in Alona Beach. Dive tours to Balicasag and Pamilacan Islands, famous dive spots, can be arranged. Bolod Beach is located at barangay Bolod and situated on the south side of the island, about two and a half kilometers east of Alona Beach. The beach has a one and a half kilometer stretch of white sand, the largest shoreline in the area. Doljo Beach is located at Barangay Doljo, Panglao Island. It lies on the northwest side of the island and at its very tip. The 3km beach is relatively unexplored and undeveloped, wide and with white sand that stretches so far out and the sea bed slopping gently towards the deep. It is fringed with tall coconut palm trees which add much to its tropical look. The place is noted for its beautiful and exquisite seashells. 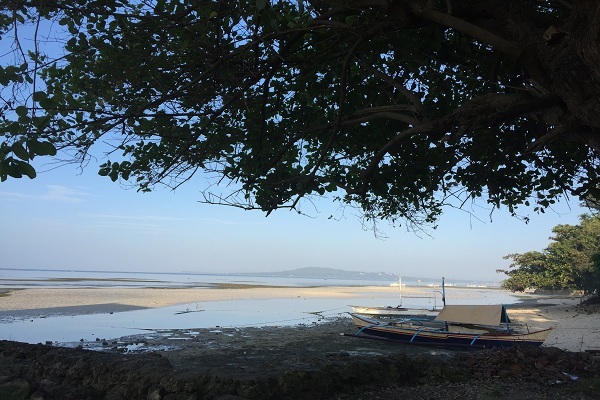 With calm, deep and clear waters and the sea bed free of sea grasses plus myriads of colorful marine life, it is a favorite hang-out of local folks. 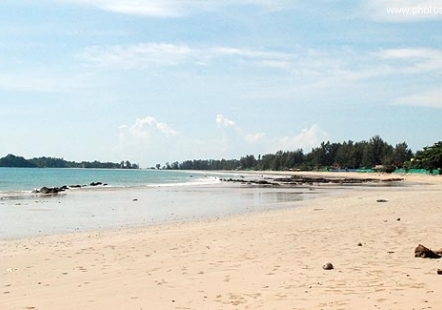 Momo Beach is likewise blessed with white sand and cool crystal blue waters. It is located in the northern part of Panglao Island, specifically in the Barangay of Tangnan of Panglao town. The beach is relatively unknown of and is patronized by the locals. Momo beach is nearer to Doljo beach than to Alona Beach which is 20km away; a 40min ride away by motorized banca or 20min by car. 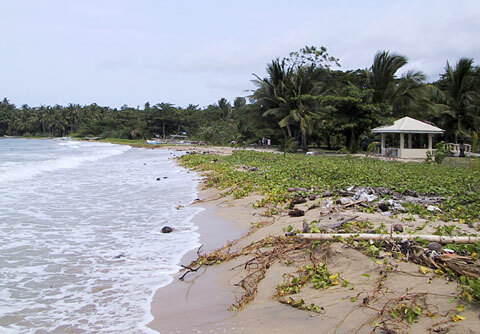 There are no resorts as yet at Momo Beach. Bagobo Beach is located at Barangay Libaong, Panglao, Panglao Island. 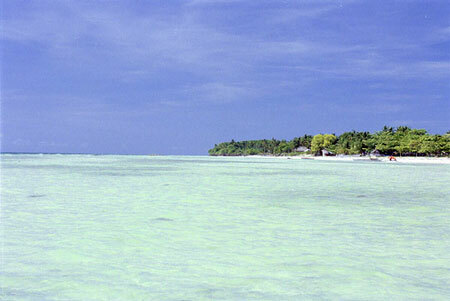 It is a beach with very fine white sand and fringed by tall coconut palm trees and other tropical varieties. The water is crystal clear and reveals an underwater world of such beauty that made divers and snorkelers come back from time to time bringing in their friends and acquaintances. 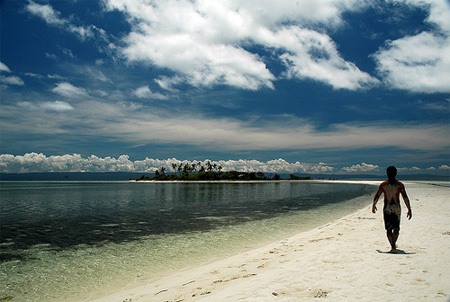 Dao Beach is located in Barangay Dao in Dauis town at Panglao Island which is a 20-minute drive from Tagbilaran City. The beach boasts of white sand, crystal blue water and rugged cliff-sides covered in verdant tropical foliage. There are plenty of resorts located at the Dao area. Some are situated along the beach while others are on elevated areas that command a breathtaking view of the Mindanao Sea and the Pamilacan Island. The much acclaimed resorts are: Flushing Meadows Resort and Playground Amarela Resort, Beach Rock Cafe, Bohol Bee Farm, and Bohol Sea Breeze Resort. Going for cheap holidays on the beach doesn't necessarily mean sacrificing the quality of your vacation. 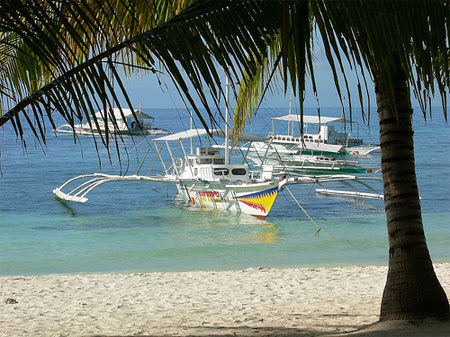 Panglao Island is one of the more famous travel destinations in the Philippines. Getting here is inexpensive, yet it is one of the most beautiful places in the country. ANDA Beach in Anda is 101 km from Tagbilaran City. The white sand beach is clean and the waters unpolluted. DUERO Beach is 77 km from Tagbilaran City located in the eastern part of Bohol with white sand beach shaded by palm and coconut trees. 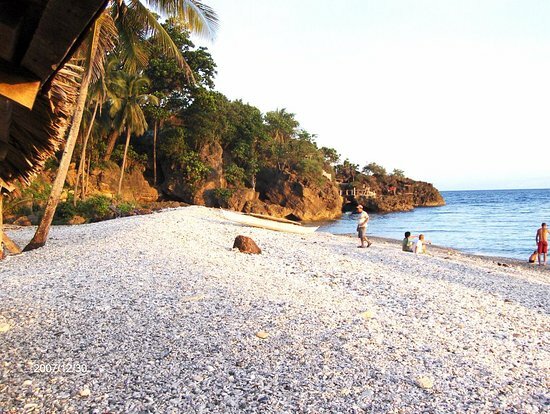 Cainget Beach in Tagbilaran City is situated in a cove. The sea stays calm even on stormy weather. It is being developed and maintained by the city government. SANTA FE Beach in Albuquerque is 13 km from Tagbilaran City and boasts of a white-sand beach fronting the open sea of Mindanao. It is located about 1.5 km from the Poblacion of Albuquerque. LAYA Beach in Baclayon is 9 km from Tagbilaran City shaded by tall coconut trees and ideal for picnics. 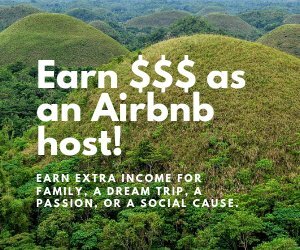 A rest house is available at minimum cost. IMELDA Beach in Dimiao is 40 km from Tagbilaran City and was once a campsite for Boys and Girl Scouts of Bohol. CAN-UBA Beach in Jagna is 58 km from Tagbilaran City is blessed with white sand and clean waters shaded by palm trees. CLARIN Beach in is 28 km from Tagbilaran City with a long stretch of white sand. The beach has recreational facilities and a bath house. LINTUAN Beach in Loon is 25 km from Tagbilaran City with a long stretch of white sand. 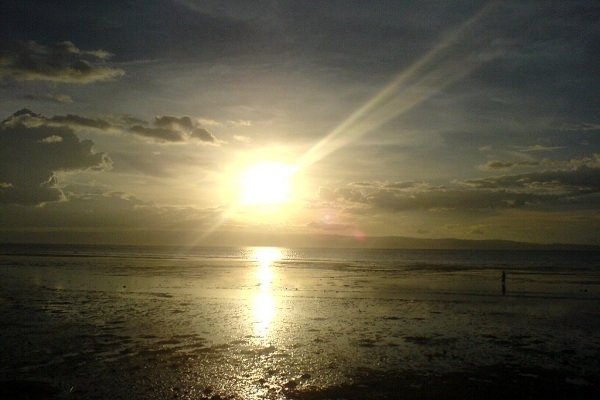 How do you like the best of Bohol Beaches? Which one did you go to? Which one is the best? Share it! Tell all the world how lovely are the Bohol beaches! Entering your Bohol beach story is easy to do. Just start typing! Add a photo or video if you want! Do you have a wonderful beach picture to add? Great!